Each year, criminals receive billions of dollars from tax refund fraud. Anyone can become a victim of tax return identity theft, but you can do your best to avoid it by following these four easy steps. 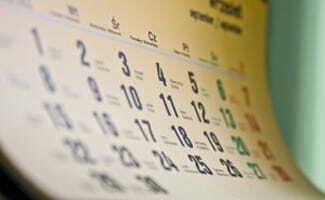 File your return as early as possible to avoid tax return fraud. If you procrastinate until midnight on April 15th, you could find yourself receiving a letter from the IRS stating that there’s already been a return filed under that social security number. By filing your tax return early, you are making it less likely that someone else is able to file a return under your name before you. 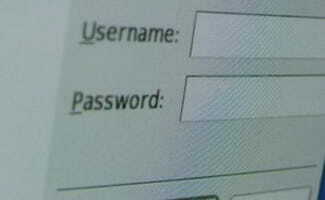 Always use a strong password for any profile you have whether it’s related to your taxes or not. Be sure to use a secure network (no public Wi-Fi) when filing your tax return electronically. After you have e-filed, save your return and any other documents to an external hard drive, USB, or other type of backup and delete from your computer. 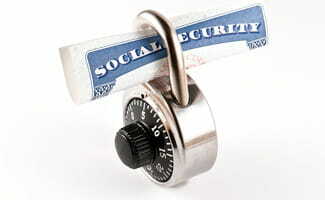 Often times social security numbers are stolen from doctor’s offices, schools, hospitals, and other places. When asked to give your social security number, ask if it’s really something they need. If not, don’t give it to them. This will save you from tax return identity theft. Also, be sure never to carry your Social Security Card or any other document with your SSN on it with you. You don’t want to risk it being stolen. Instead, keep your social security card in a safe place at home or even in a safe deposit box at your bank. If you want to avoid identity theft on your tax return, this one is self-explanatory: do not sign a blank document (this goes for non tax forms as well). 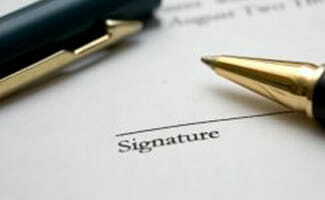 Signing a blank return will put you in a world of trouble. Do yourself a favor, run away from the tax preparer as fast as you can rather than falling for their schemes.